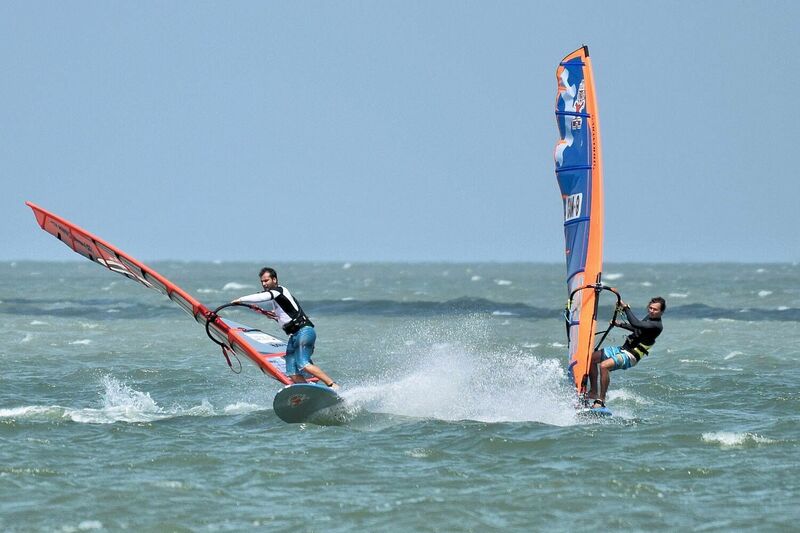 Phil Soltysiak is hard at work in Aruba getting ready for the 2018 freestyle season on the PWA, but the freestyle champ is a serious contender for slalom honors too and will be looking to confirm his 2016 national title in Virginia in April! Phil Soltysiak (CAN-9) doesn't need to be introduced: a fixture on the PWA freestyle tour, Phil travels the world spinning and twirling with the best, and the style and energy he brings to every contest is infectious! But there's something in Phil's story that's even more impressive than his high-flying antics. It's his eagerness to share what he knows with everyone lucky enough to cross his path! "I look forward to racing at the 2018 US Windsurfing Nationals in Virginia come April! Hopefully I can repeat my 2016 performance!" Everyone, sharpen your skills! But relax: you don't need to be a professional windsurfer to race at the US National Festival. In fact, one of the best things about the event is that it's open to absolutely all levels. Come have fun and learn from the best - sign up here! Phil blogs about his adventures here. Check him out on Instagram too!